The CY7C68013A-56 chipset is a low-power version with enhanced 51-core; 16KB program data areas. The development board has a 48MHz frequency. It is USB 2.0 compliant, has up to 480Mbps transmission speed and is also compatible with USB 1.1. The EEPROM firmware is a complete in-system programming solution which supports downloads using a USB cable. There is an on-board 16K (24LC128) EEPROM for storing VID / PID and USB firmware. All GPIOs lead out through 2.4mm pin headers. The manual zip file is actually the datasheet for that family of Cypress chips. Other than the schematic above we have nothing to tell us how to use it. Mainly, we do not know any of the functions of the firmware or interface to it. If it is not yet loaded with firmware, it needs to have a bootloader and we need to know how to use that bootloader to load firmware. Is there any more information specific to this board please? Mainly, we do not know any of the functions of the firmware or interface to it. If it is not yet loaded with firmware, it needs to have a bootloader and we need to know how to use that bootloader to load firmware. Is there any more information specific to this board please? The device can be programmed via its USB interface. No bootloader or additional hardware is required. There is a link in the first post that will point you to where on the Cypress website you can download the development tools. This also includes the CyConsole software that will allow uploading of binary hex files into the device. 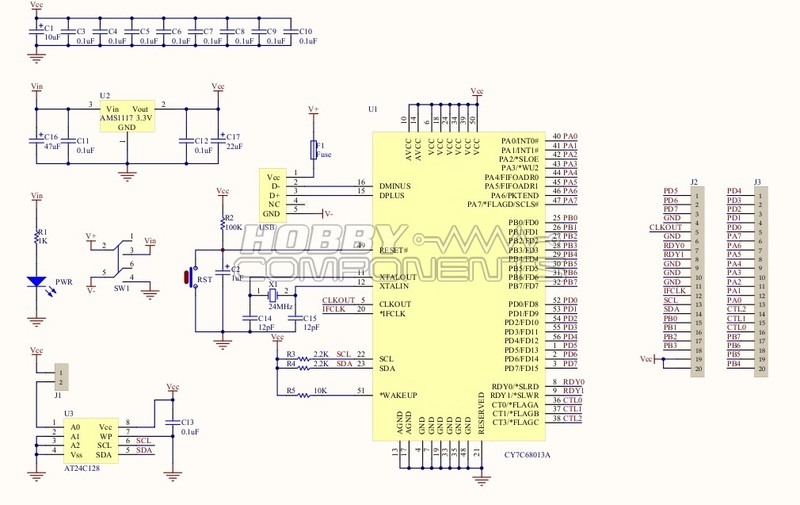 With the drivers installed correctly the CyConsole software will automatically detect the development board as soon as it is connected to the USB port. From there you can then take a HEX file and upload it to the device. As part of the download there is also a PDF which explains how to use CyConsole in more detail. As with most microcontrollers you will need to have a good understanding of the development tools and how the device works at a hardware level before you can write software for it. 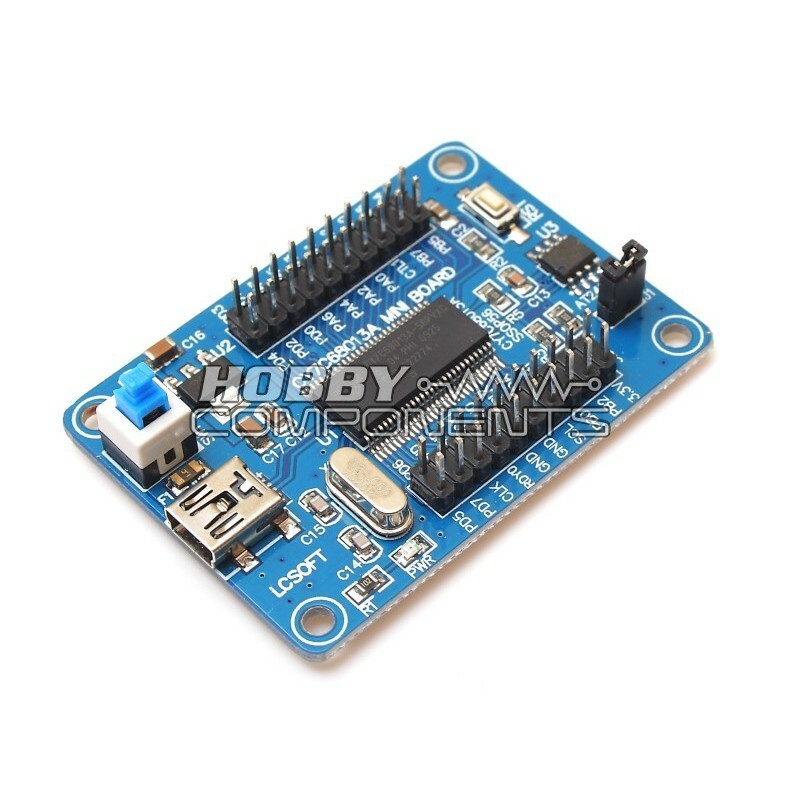 If you're new (or even a novice) to microcontrollers I wouldn't recommend this device as a starting point and instead would recommend taking a look at the Arduino range of development boards (assuming you are not already familiar with them).